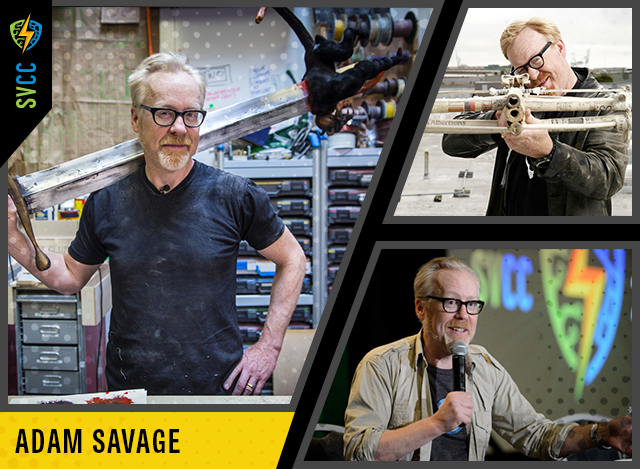 ADAM SAVAGE has spent his life gathering skills that allow him to take what’s in his brain and make it real. He’s built everything from ancient Buddhas and futuristic weapons to fine-art sculptures and dancing vegetables. Today, Adam stars in and produces content for Tested.com, including behind-the-scenes dives into multiple blockbuster films (including Ghost in the Shell, Alien Covenant and Blade Runner). When he’s not on an airplane, Adam lives in the San Francisco Bay area with his wife and their two dogs.